Heidi Klum shocked the world with the announcement that she was splitting from husband of seven years, singer Seal recently. Sadly this news made me think about something…..seal fur. Then I thought about what if a wedding was done in fur instead of the standard materials. Would Heidi and Seal still be together? 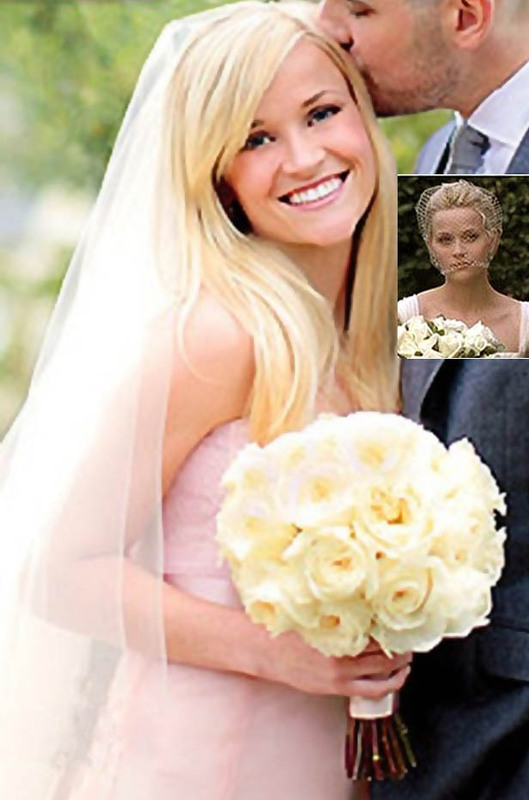 3/31/2010 – Update…Reese Witherspoon wore a PINK wedding dress, can’t wait to discover photos of this one. I don’t think the designer has even ever made a pink one in her past. A pre-wedding cocktail hour took place before the 20-minute ceremony, which started a bit late, as most celebrity weddings do. Witherspoon walked down the aisle to “Here Comes the Bride.” Monique Lhuillier designed Reese Witherspoon’s wedding dress as seen below. A bluegrass band played during the service. Decor details of the country-themed soiree: Lanterns and chandeliers hanging from trees, mismatched antique chairs and distressed benches set throughout the property, a wood plank dance floor, antique leather sofas, jute rugs, wago wheels and Turkish textile pillows. After the meal, guests boogied on the dance floor to DJ-spun tunes. When it was time to call it a night, drunken wedding goers departed clutching gift bags with pecan currant scones from a local baker. I doubt the scones were as good as the ones from our local church….of course they only cost about 50 cents. You can’t beat 50 cent scones that are fresh. 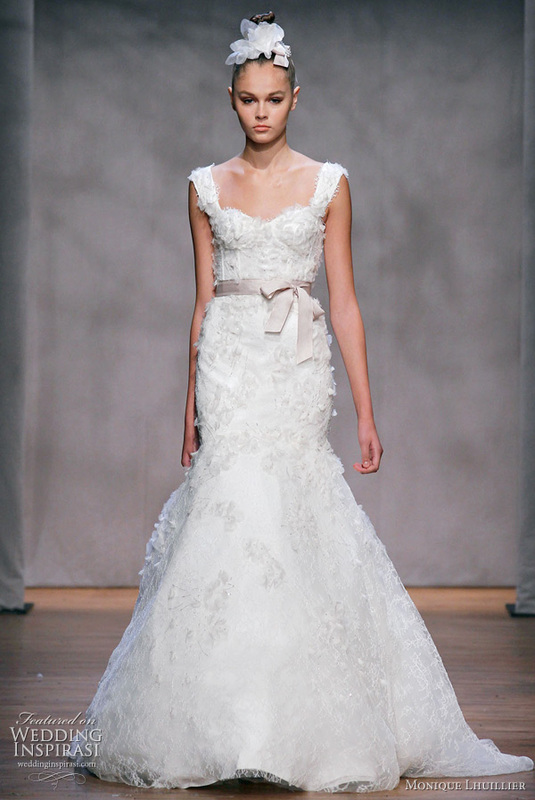 Here’s a possible inspiration for Reese Witherspoon’s wedding dress from Monique Lhuillier? Is it close to the real one? While searching for a gown for her wedding in 1995, Monique was surprised by the lack of fashion-infused bridal options. Having had an affinity for evening gowns and bridal while at FIDM, Monique launched her first bridal collection in 1996. The collection received great acclaim from both editors and buyers alike. Tom joined the company as CEO, to turn Monique’s vision to establish a couture design house into reality. Monique Lhuillier has become a celebrity favorite for both wedding and red carpet gowns. Her list of clientele has included Gwyneth Paltrow, Reese Witherspoon, Kristen Stewart, Drew Barrymore, Hilary Swank, Jennifer Lopez, Taylor Swift, Carrie Underwood and Catherine Zeta-Jones. At present, the Monique Lhuillier collections encompass ready-to-wear, evening gowns, bridal, bridesmaids, linens, tableware, fine paper and home fragrances. Hilary Duff’s weekend wedding to Mike Comrie couldn’t have been more romantic, says her sister Haylie Duff (luck maid of honor too). “What a special weekend filled with love and beautiful memories,” she Twittered. The 22-year-old Hilary (in Vera Wang) and the Canadian hockey player, 29, exchanged vows in front of 100 guests & was walked down the aisle by her mother Susan Saturday August 14th, 2010 in an intimate ceremony in Santa Barbara, Calif. She also sported a 14-carat, $1-million dollar diamond engagement ring. Hilary Duf showcases a 14-carat, $1-million dollar diamond engagement ring. The couple, who began dating in 2007 at a resort in Idaho, got engaged this past February in Hawaii. The couple exchanged vows at the sprawling Villa La Quinta estate just outside of Santa Barbara and then they spent their first night as a married couple at the famed San Ysidro Ranch in Montecito. Hilary Duff (wearing a Vera Wang wedding dress) & Mr Comrie at the alter. 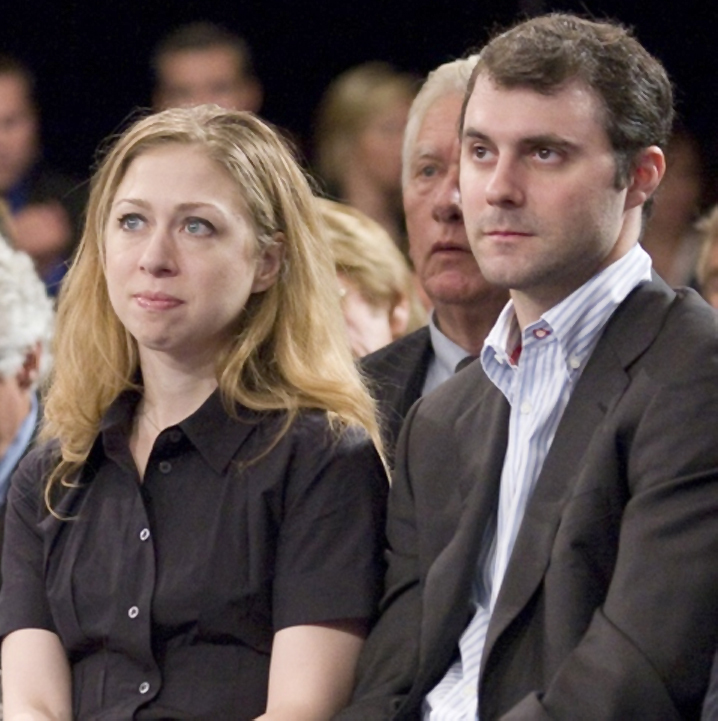 Congrats to Chelsea Clinton and Marc Mezvinsky (an investment banker and political offspring) getting married this past weekend on Saturday July 31st, 2010 at Astor Courts in Rhinebeck, NY. The Friday night before wasn’t to hectic either. Crowds gathered outside the Beekman Arms, another hotel fully booked by the wedding party. 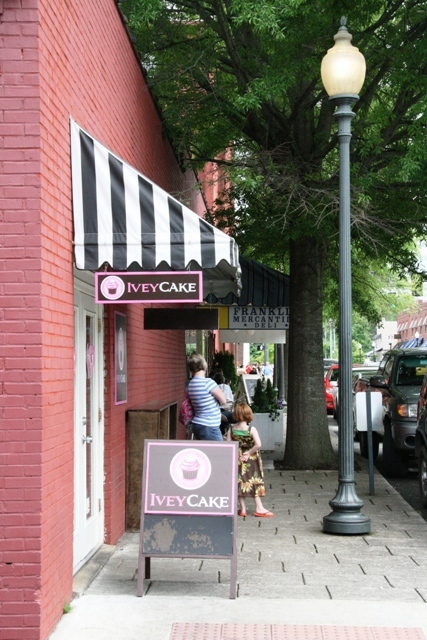 Guests, including the bride’s parents, were seen heading from a rehearsal dinner to a cocktail party at the local tavern. Mezvinsky, 32, is Jewish, while Clinton, 30, was raised Methodist, like her mother Secretary of State Hillary Clinton. Their Saturday ceremony, which was co-officiated by Rabbi James Ponet, a Jewish chaplain at Yale, and the Rev. William Shillady, a Methodist minister from New York City, was a nod to both their faiths. It featured many Jewish traditions: the couple married under a chuppah or canopy; the groom wore a yarmulke or skull cap and tallis or prayer shawl; friends and family recited the Seven Blessings typically read at traditional Jewish weddings. Chelsea Clinton’s wedding to investment banker Marc Mezvinsky is the hottest event of the summer on July 31st somewhere in New York. Of course to help out her parents Chelsea has said, She must personally know every invitee. There will be only 400 names on the guest list, a good size for a wedding by ordinary standards, but barely big enough to account for all the people Bill Clinton slept with…..hehe. “Donors are expecting to be invited,” says a major Clinton fund-raiser. Then there are the campaign, State Department, and Clinton Foundation staff, plus foreign dignitaries and both Clinton and Obama White House officials. “You really see who their closest friends are in this list,” says an insider. “It’s not a celebrity-driven wedding. Chelsea Clinton Marc Mezvinsky married? Are wedding cupcakes the new trend instead of cakes? In general I’ve been noticing a trend in weddings. People are preferring simple wedding cupcakes over traditional cakes it seems. I was just reading about Carrie Underwood and Mike Fisher (of the NHL’s Ottawa Senators) over at msnbc. This couple has been living together for a while now. I guess it was about time for Simon to ask her the big question. It had been rumored that Cowell ”wanted to do something unexpected and out of character on Valentine’s Day and decided to splash out on a ring.” No wedding date was mentioned but Mezhgan, the make-up artist, cryptically said, “don’t put off shopping for our wedding gifts for too long”. Of course we all expect their to be a prenup with this one no matter how “in love” they are. Mezhgan Hussainy (not related to Saddam Hussein), 36, is an Afghanistan native and has been dating Simon for almost a year, according to previous statement’s by Simon Cowell‘s publicist Max Clifford. ‘Are you engaged?’ I asked, as the audience whooped with glee.